The answer is no. Not only are women injured by abortions on a daily basis, but women are also killed by abortions as well. On the issue of anesthesia in general, all medications used in anesthesia have the potential for serious risk, Anesthesia complications are an increasing proportion of total abortion morbidity and mortality. The degree of bleeding experienced under general anesthesia is greater, the risk of perforation is greater, and the risk of death due to aspiration of vomit, among other things, appear to be greater. I believe it is preferable to have a patient who is uncomfortable but able to tell me what she is feeling and if she feels a strange abdominal pain than to have a patient who is quite comfortable because she is dead. Abortion is a simple procedure except for the uterus’ total intolerance to poor technique… In the medical practice, there are few surgical procedures given so little attention and so underrated in its potential hazard as abortion. The abortion picture painted by pro-choice advocates, is that the U.S. Supreme Court and Justice Harry Blackmun’s Roe vs. Wade and Doe vs. Bolton decisions turned abortionists into professional, talented doctors and made abortions safe and legal. The truth is that making abortion legal never made it safe. Abortionists are the bottom-feeders of the medical profession and abortion procedures jeopardize the health of the mother. 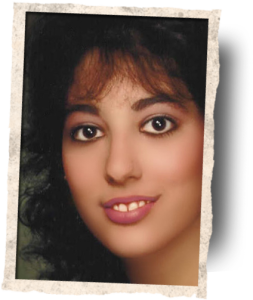 One example of a legal abortion that led to death, is the case of Marla Cardamone, an 18 year old, pregnant woman who would not live to make it to 19. Click here to learn more about her tragic story. She is just one, of many, women who have died by abortions. On the website be sure to also look at ‘The Pro-Choice Death List’ section. It is a list of women who have, like Marla, been killed by abortion. As you look at the list, please remember that the hundreds of women listed represents only the tip of the iceberg when it comes to abortion deaths. We have statistics from both state and federal reporting agencies documenting many more abortion related deaths but because we have no further details on them we chose not to include them. Because abortions are risky procedures, it is common for a woman to be injured while having one. Clinics that perform abortions will, frequently, need emergency services because of injuries a woman received while having an abortion. It is important to note, however, that in order to stay away from investigations and/or prosecution, clinics do not always call 9-1-1 for help; they will often disregard the safety of the woman rather than admit fault. To learn more, visit: http://www.safeandlegal.com/depraved-indifference.